Carlo J. Caparas grants Coco Martin rights to "Ang Panday"
Coco is said to direct and top bill the Pinoy comics for the upcoming Metro Manila Film Festival. 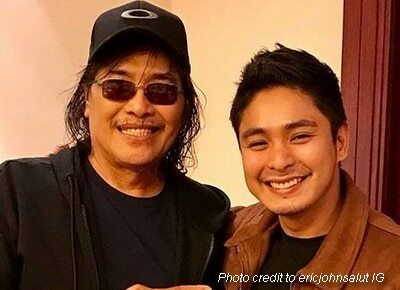 ‘King of Philippine Comics’ Carlo J. Caparas has granted actor Coco Martin the rights to show one of his highly-acclaimed works, Ang Panday. Dreamscape Ad Prom head Eric John Salut revealed on Tuesday, April 25 via Instagram. Furthermore, he said that Coco will be the one to direct and top bill the said movie for this year’s Metro Manila Film Festival. Just like Coco’s present series Ang Probinsyano, Ang Panday was also originally played by the late ‘King of Philippine Movies’ Fernando Poe Jr.